Stephani Anson is the perfect definition of resilience. Those who know Stephani agree that she is also intelligent, driven and caring. Stephani was born in Glenwood Springs but raised in Gypsum. 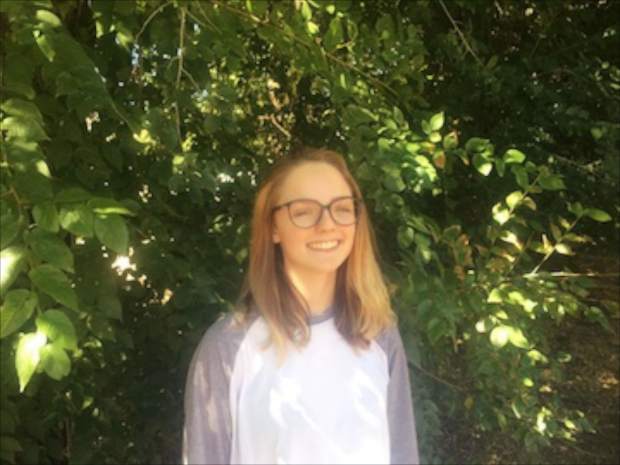 She is currently attending Red Canyon High School in Edwards and challenging herself by taking college courses at Colorado Mountain College in hopes of graduating high school with both her high school diploma and associates degree. Stephani has not yet decided where to go after high school but has her eyes set on University of California Los Angeles, Savannah College of Art and Design and The Juilliard School. Stephani is planning to major in performing arts, with a minor in music. Stephani is a member of our new Youth Leaders Council, where she has been able to voice her passions, one being mental health. Stephani struggled with anxiety and depression for around three years before she began speaking about it. “I believe me opening up about this will help my peers who are going through something similar,” she said. Stephani also spoke about her struggle with anorexia nervosa, an eating disorder, and how it has been very difficult to construct herself again. Stephani is very open about her struggles and uses social media platforms such as YouTube to help people from all around the world who are going through issues similar to what she herself has endured. Her YouTube channel can be found at youtube.com/stephanianson. Stephani has also had the opportunity to attend Vidcon, where she voiced her passions about mental health. Stephani is also passionate about diversity and acceptance, and she is planning to attend, and speak at, the Mountain West Diversity Conference. In her free time, Stephani enjoys listening to music, writing, producing videos, screenwriting and honing her performing arts skills. In the future, she hopes to join the Vail Performing Arts Academy but cannot right now due to financial issues. Stephani is one of the many hidden gems in our community who work incredibly hard and deserve more recognition. I am incredibly honored to work alongside Stephani to better our community, and listening to her story has definitely inspired me. I am proud of Stephani for all that she has overcome and accomplished, and I cannot wait to see everything she has yet to accomplish. Shoot for the stars, Stephani; we all know you can do it. Gerry Lopez is the youth adviser for the Eagle River Youth Coalition.